Please complete so your gift recipient knows who it's from. I just received this keepsake from my co-workers. What a wonderful remembrance of my Mother and a special reminder of how great they are. 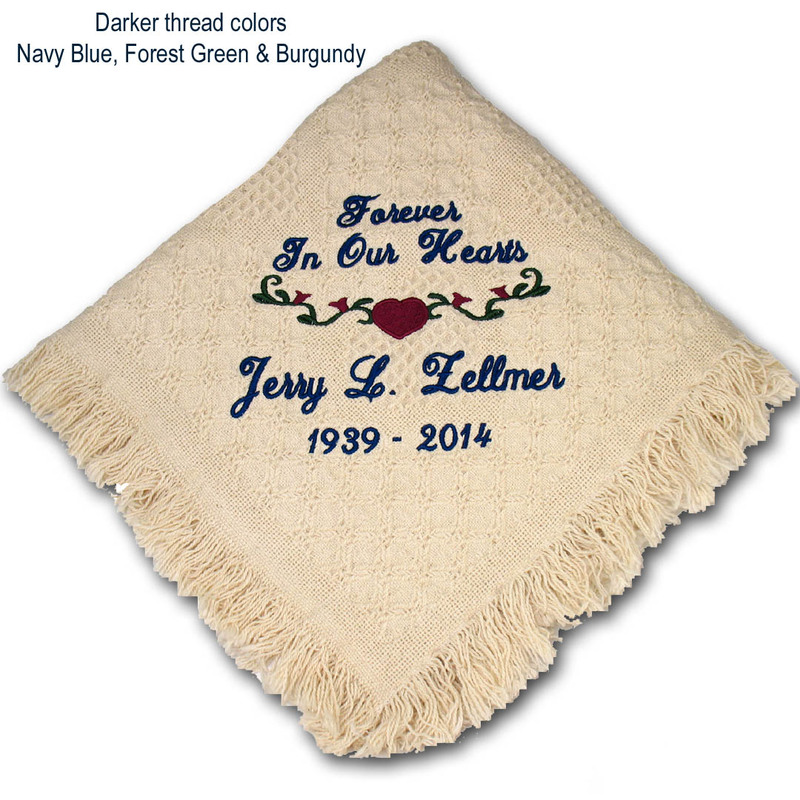 I ordered this throw for a co-worker who's mother passed away. 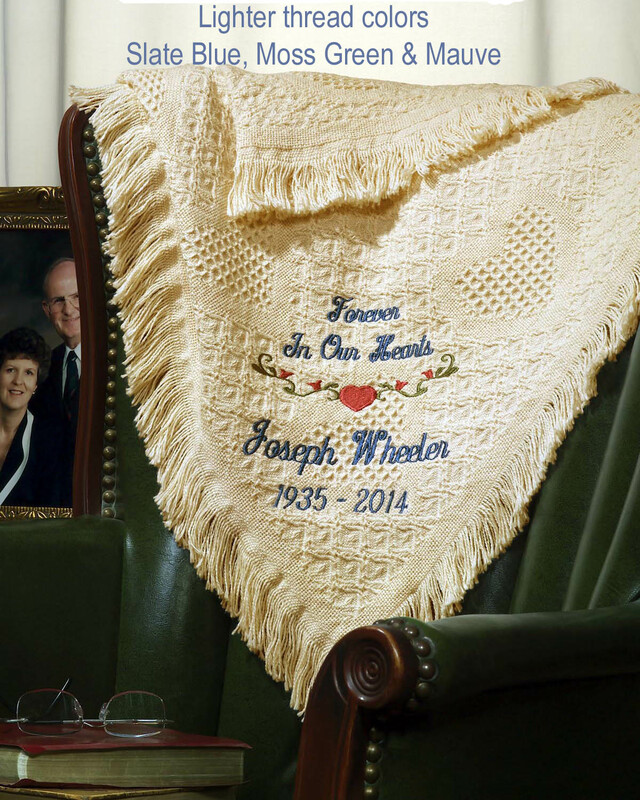 The family was very touched by such a beautiful keepsake in their loved ones honor.